Getting into the university can be not only excited but also overwhelmed. It is important to have some proper relaxation from stressful study to better enjoy the university. 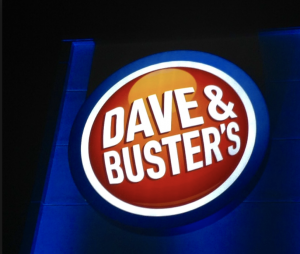 A new opening entertainment center, Dave & Buster’s (D&B), in the West Towne Mall is a great place for both current UW-Madison students and new coming freshmen to have fun. You can play games, eat and drink, and watch sports all under one roof. It is a must-not-miss place in Madison. There are hundreds of gaming machine in the store that you can definitely find a favorite. You don’t need tokens, cash, or coins to play games. You will only need to register for a Power Card and make a deposit at the amount you want. Every time you play, you just need to swipe the card and start to have fun. After each play, you will get Rewards points to win a prize in store. D&B also has dining and bar area that people can order their own drink and foods. They offer many kinds of burgers and other entrees. After a fun game, either refreshments and stoking would be satisfied. You can also sit with a bunch of close friends and watch a furious sport at the bar. You can order your own drink to enjoy the time. A Little Laugh Goes a Long Way!